The Top & Tail breaks new ground for user engagement giving the audience a polite, non-intrusive experience. 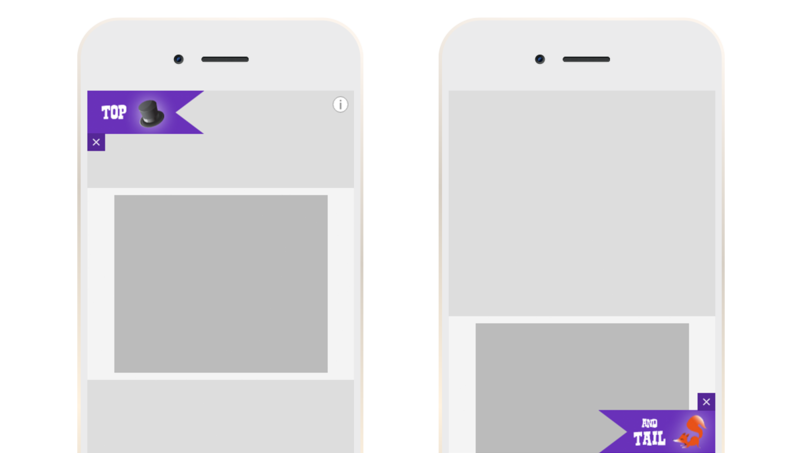 As the user scrolls down the page, the ‘Top’ element of the banner will appear at the top of the screen away from the user’s thumb to prevent any accidental clicks. The ‘Tail’ will then appear at the bottom of the screen as the user scrolls back up the page. Please Note: Demo link below requires a mobile browser.